This page provides instructions for using the BY STREAM tool. Note more documents are available BY TEXT as not all documents are specific to a stream. Locate the area of interest on the map. You can do this a number of ways including searching for the stream by name. 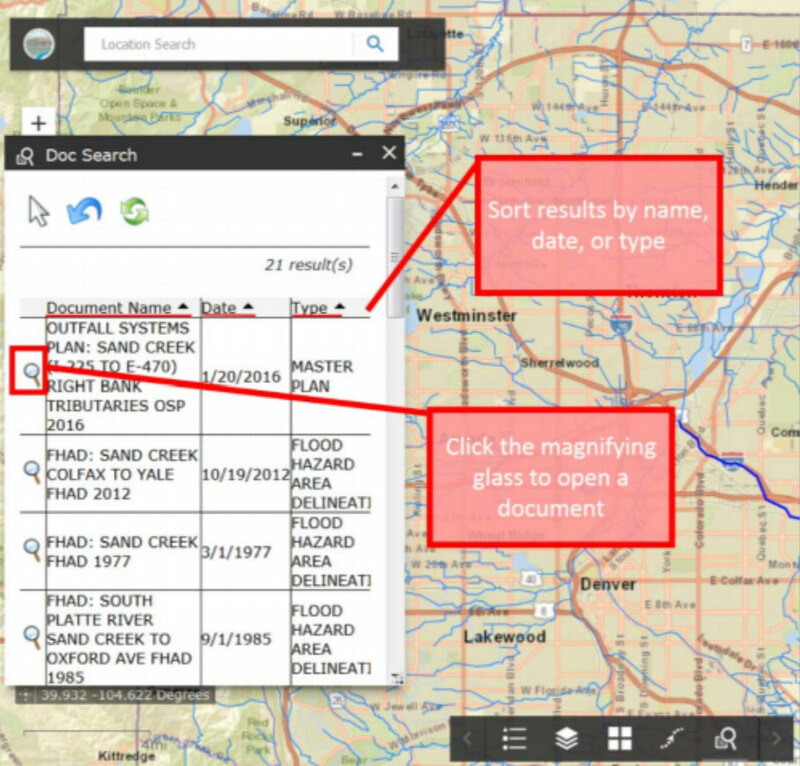 To do this use the “Locate Stream” tool in the tool box at the bottom of the screen. 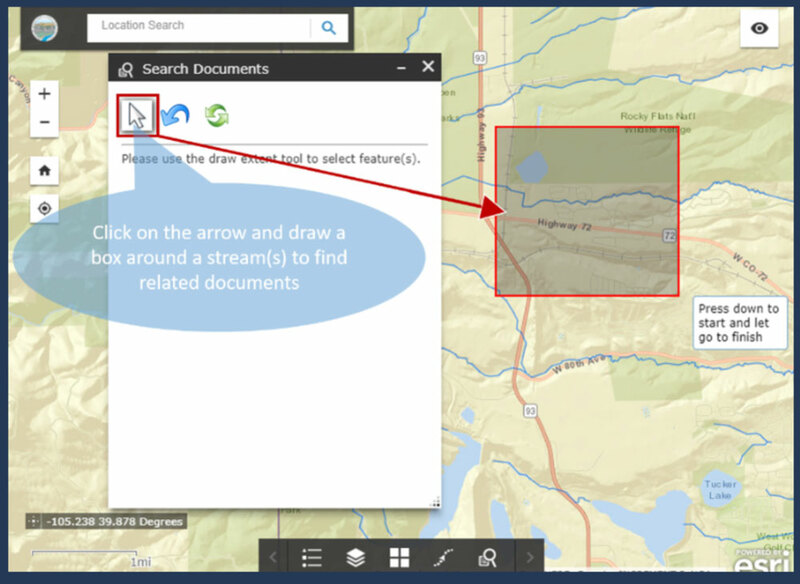 Click the arrow in the Document Search tool and draw a box around the stream(s) of interest. The Document Search window will show all documents related to streams within the selected box area. Sort by column heading and click the magnifying glass to open a document.